Valentine's Day is just around the corner. Maybe it's because I just had a baby, but holy moly where did the time go?! If you are just now thinking about your Valentines like me, here is a Valentine's Day gift guide. I also sprinkled in my favorite Valentine's Day photo cards and classroom cards. First up is the Valentine's Day gift I got for Mikes. We just moved into our first home together, so I had this Custom House Portrait made. It was so special for us to get this home together. If we find ourselves in another home one day, we will always have this portrait as a reminder of our first home together. I love this idea of Your Vows as a Foil Art Print. Whether you got married this year or ten years ago, it is such a special gift for your significant other. I think it's especially cool if you created your own vows. It's such a beautiful way to display your love for one another. Surprisingly I got our Christmas cards out this year, and I got them out on time. This is almost unheard of in my world. If you didn't get your Christmas cards out this year, sending out Valentine's Day cards is such a fun + unexpected surprise. If you are looking for Valentine's Day photo card ideas, Mikes and I sent out these Essential Valentine's Day Cards by Lauren Chism. I just love how they turned out. Lauren Chism is one talented cookie. When all else fails, you can't go wrong with something homemade. These Valentine's Day heart cookies are fun to make with the kiddos. You can give them out to your neighbors or save them for your boo. Free printable bags are included. Not only is it fun to do a homemade dessert for Valentine's Day, homemade Valentine's Day gifts are always a good idea too. This "Favorite Memories" Balloon Piñata is such a sweet idea to do with your significant other. I made this for Mikes, and it was so much fun to relive some of our favorite memories. This Minimalist Quote Keepsake is another great Valentine's Day gift idea for your babe. To personalize this, you upload a photo, and you can use this quote, or enter in a custom one. If you are looking for quotes for Valentine's Day, I love what this says. 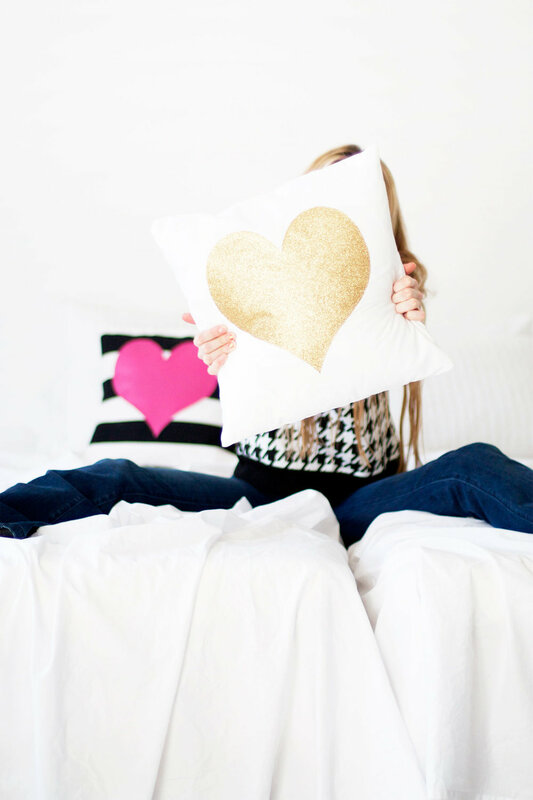 These DIY Heart Pillows are next up on this Valentine's Day gift guide. These are so simple to do, and they make great gifts for friends. They also serve as fun Valentine's Day decorations for your house. 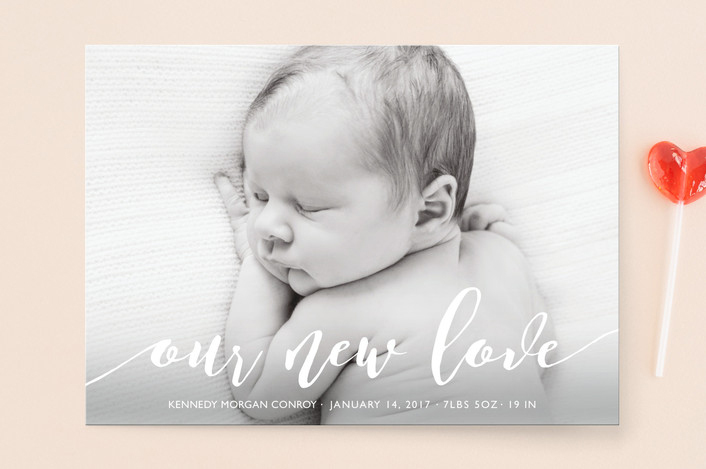 If you just had a baby it's such a fun idea to send out a Valentine's Day baby announcement. This "Our New Love" Valentine's Day Card just melts my heart. How cute are these Scattered Hearts Classroom Valentines? I love the idea of photo classroom Valentines. It definitely takes things up a notch. 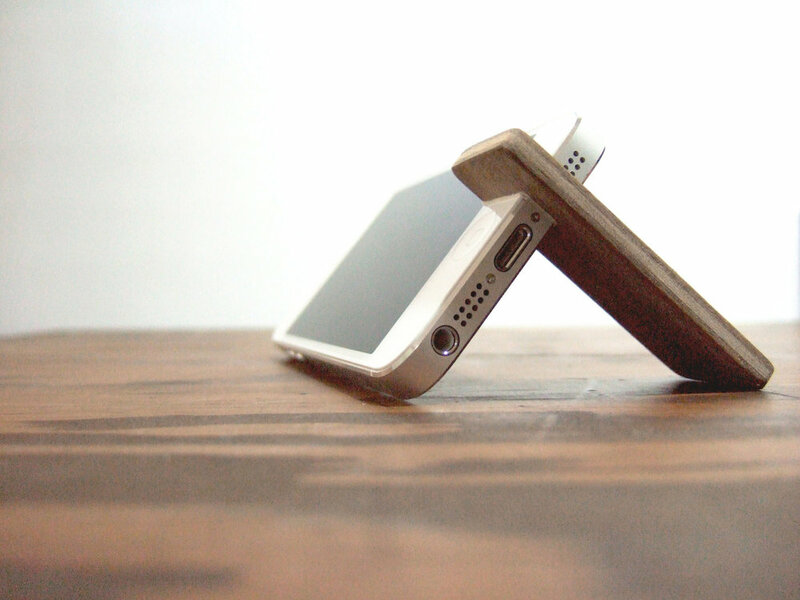 If you are looking for a Valentine's Day gift guide for him, look no further than this Wood iPhone Stand. How cool is this? It's hip and sleek all at the same time. Plus it's made by an Etsy seller. I'm all about supporting small businesses. If you are looking for Valentine's Day photo ideas, this Heart Snapshot Mix® Photo Art is precious. I think it would be so fun to put one of these together. I've got more homemade Valentine's Day gift ideas on this Valentine's Day gift guide. These free printable "Somebody Loaves You" tags are so fun. 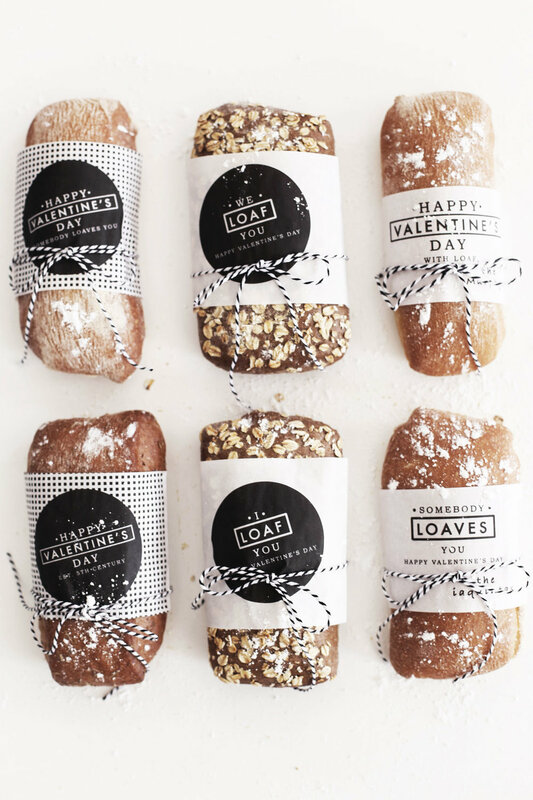 You can bake bread with the kiddos to give out to neighbors, family members, and coworkers. 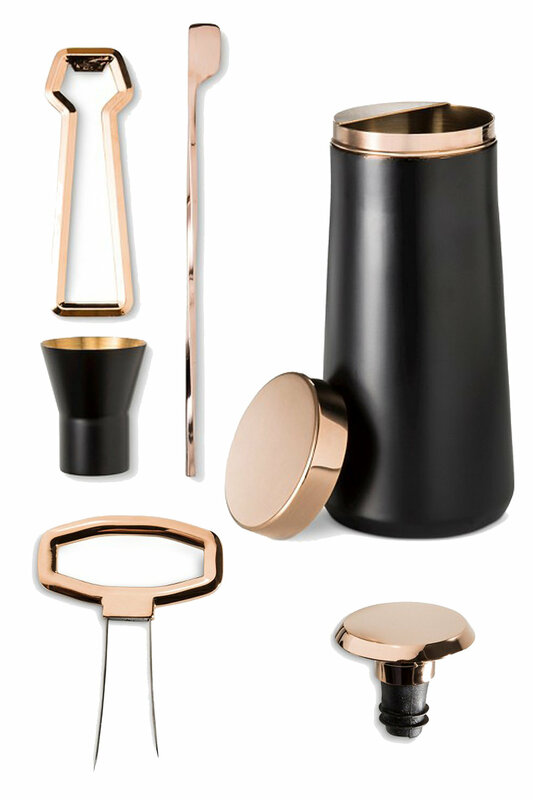 This last Valentine's Day gift guide item might be my fave. It's a Better Than Whiskey Art Print along with a Recipe Art Print. You could use your man's favorite whiskey cocktail recipe. This is one of those special Valentine gifts for him. Plus if your man is hip, whiskey is all the rage these days. It can be so hard to come up with Valentine's Day gifts sometimes, so I hope this Valentine's Day gift guide gets your wheels turning. 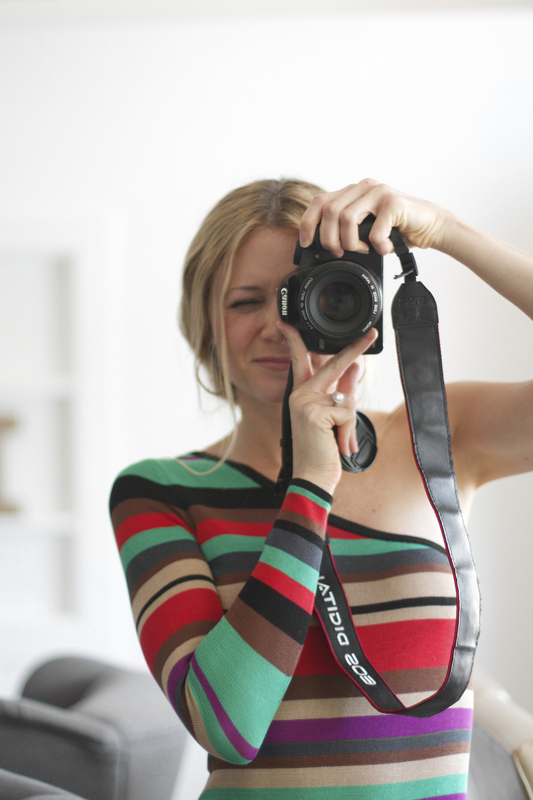 Thank you to Minted for making such cool products and for sponsoring this post.